Once again reviving the debate over the nature of the Flores hominid, a new study published this week in the Proceedings of the National Academy of Sciences compares skull scans from various samples, including microcephalic humans and other hominids, and suggest that the H. floresiensis is a microcephalic human rather than a separate species. ‘Hobbit’ just a deformed human? 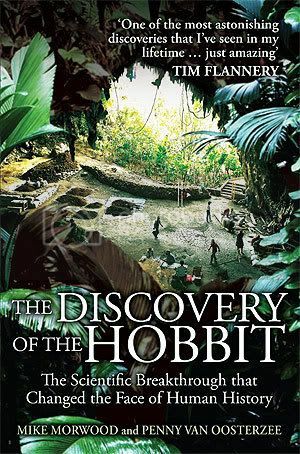 30 January 2007 (Eureka Alerts, BBC) – A new development in the Hobbit debate, paleoneurologist Dean Falk from Florida State University concluded that the Hobbit is indeed a new species, rather than a human with microcephaly. This conclusion was made by making comparisons of the brain casts between human, microcephalic and hobbit specimens. After the skeletal remains of an 18,000-year-old, Hobbit-sized human were discovered on the Indonesian island of Flores in 2003, some scientists thought that the specimen must have been a pygmy or a microcephalic â€” a human with an abnormally small skull. Not so, said Dean Falk, a world-renowned paleoneurologist and chair of Florida State University’s anthropology department, who along with an international team of experts created detailed maps of imprints left on the ancient hominid’s braincase and concluded that the so-called Hobbit was actually a new species closely related to Homo sapiens. Now after further study, Falk is absolutely convinced that her team was right and that the species cataloged as LB1, Homo floresiensis, is definitely not a human born with microcephalia â€” a somewhat rare pathological condition that still occurs today. Usually the result of a double-recessive gene, the condition is characterized by a small head and accompanied by some mental retardation. In this latest study, the researchers compared 3-D, computer-generated reconstructions of nine microcephalic modern human brains and 10 normal modern human brains. They found that certain shape features completely separate the two groups and that Hobbit classifies with normal humans rather than microcephalic humans in these features. In other ways, however, Hobbit’s brain is unique, which is consistent with its attribution to a new species. Comparison of two areas in the frontal lobe, the temporal lobe and the back of the brain show the Hobbit brain is nothing like a microcephalic’s and is advanced in a way that is different from living humans. In fact, the LB1 brain was the “antithesis” of the microcephalic brain, according to Falk, a finding the researchers hope puts this part of the Hobbit controversy to rest. Flores hominid: New species or microcephalic dwarf? 9 October 2006 (The Anatomical Record) – A new study in The Anatomical Record, the journal of American Association of Anatomists strongly suggests that the Flores Man is not a new species of human being, but in fact a Homo Sapiens with microcephaly. Abstract is printed below, subscription required for full access. The proposed new hominid Homo floresiensis is based on specimens from cave deposits on the Indonesian island Flores. The primary evidence, dated at 18,000 y, is a skull and partial skeleton of a very small but dentally adult individual (LB1). Incomplete specimens are attributed to eight additional individuals. Stone tools at the site are also attributed to H. floresiensis. The discoverers interpreted H. floresiensis as an insular dwarf derived from Homo erectus, but others see LB1 as a small-bodied microcephalic Homo sapiens. Study of virtual endocasts, including LB1 and a European microcephalic, purportedly excluded microcephaly, but reconsideration reveals several problems. 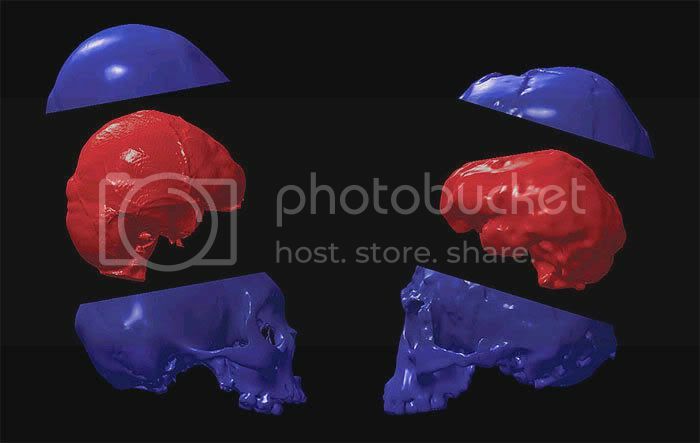 The cranial capacity of LB1 ( 400 cc) is smaller than in any other known hominid < 3.5 Ma and is far too small to derive from Homo erectus by normal dwarfing. By contrast, some associated tools were generated with a prepared-core technique previously unknown for H. erectus, including bladelets otherwise associated exclusively with H. sapiens. The single European microcephalic skull used in comparing virtual endocasts was particularly unsuitable. The specimen was a cast, not the original skull (traced to Stuttgart), from a 10-year-old child with massive pathology. Moreover, the calotte does not fit well with the rest of the cast, probably being a later addition of unknown history. Consideration of various forms of human microcephaly and of two adult specimens indicates that LB1 could well be a microcephalic Homo sapiens. This is the most likely explanation for the incongruous association of a small-brained recent hominid with advanced stone tools. 23 August 2006 (Proceedings from the National Academy of Science of the United States of America) – The article is finally out (and better yet, it’s on open access!) The article itself is extremely technical, so if you’re not that inclined, check out the related links for a list of summaries (including a new entry from Scientific American).